FORCH Racing is pleased to confirm Reece Barr’s appointment to a race seat from the 2019 Porsche Carrera Cup Deutschland Championship with a multi-year agreement. The 18-year-old racing driver will make his Porsche race debut at the 2019 opening meeting at the Autodrom Most Czech Republic next month as part of the Porsche Young Driver Talent Pool and an impressive grid of professional Porsche Cup racers. Following a successful start to his career in karting, Reece stepped up to sprint racing in 2017, impressing on his debut year with Mini JCW as well as becoming a BRDC Rising Star. Thereafter Reece progressed to the new TCR Europe Series for the 2018 season and continued to show his potential in a highly competitive European championship. Barr previously part of the Andy Priaulx Sports Management stable will also move to a new management structure with a specific composition aligned with his new Porsche campaign. Speaking about the announcement, Reece Barr said; “It’s really exciting times to make the move to rear wheel drive super cars. Porsche has been a life-long dream and it feels great that I will now be lining up on the grid, alongside established Porsche Cup drivers. I would like to thank Robert and everyone at Forch Racing for their support in making this decision. I’m incredibly excited to start working with everyone at Porsche and to take my first steps in this very competitive championship. I can’t wait for MOST in a few weeks and to join FORCH for the start of what we believe will be an exciting new chapter together with my sponsors and new development team”. 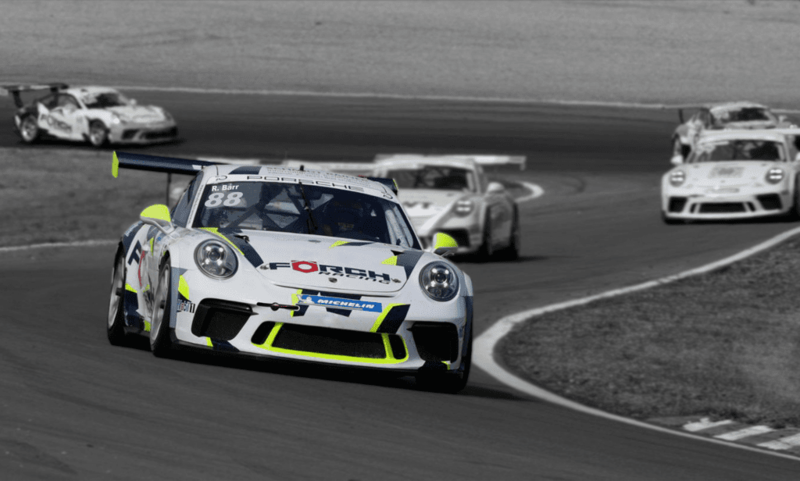 It will be an interesting season for the Silverstone based Donegal racer being part of an extraordinary year for Porsche Carrera Cup Deutschland motorsport as it celebrates its 30th anniversary. The championship organisors have also confirmed an absolute focus to maintain the position of the Porsche Carrera Cup Deutschland as the leading junior driver series in Europe.